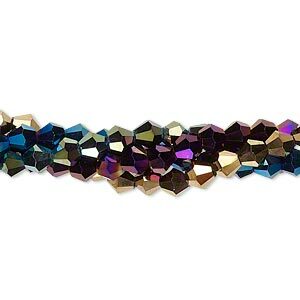 Bead, glass, assorted metallic colors, 4mm faceted bicone. Sold per pkg of (4) 8-inch strands. In jewel tones with metallic finishes, glass bicones are faceted and polished by hand. 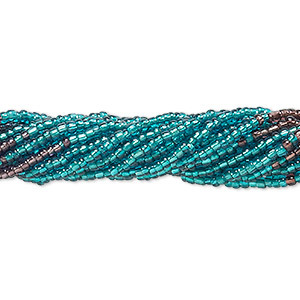 Package includes one strand of each color: dark blue, purple, green and bronze. 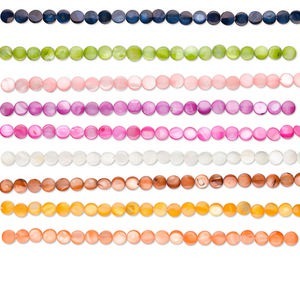 Bead, glass, assorted metallic colors, 4mm faceted round. Sold per pkg of (4) 8-inch strands. 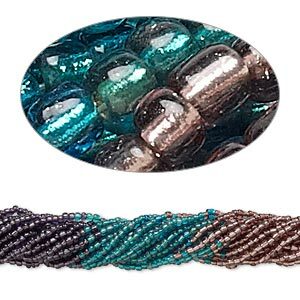 Bead, glass, assorted metallic colors, 6mm faceted bicone. Sold per pkg of (4) 8-inch strands. 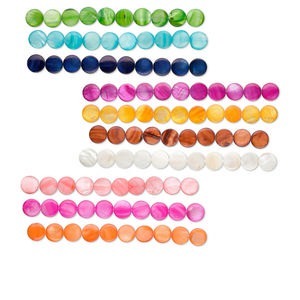 Bead mix, glass, mixed colors, 6x6mm faceted bicone. Sold per pkg of (5) 15" to 16" strands. 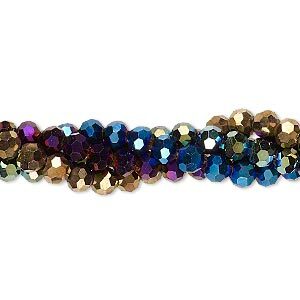 Bead, glass, assorted metallic colors, 8mm faceted bicone. Sold per pkg of five 13-inch strands.